Nature’s Variety has announced a voluntary recall of one batch of Instinct® Raw Organic Chicken Formula with a “Best if Used By” date of 10/04/13. via Nature’s Variety Issues Voluntary Recall of One Batch of Instinct® Raw Organic Chicken Formula for Dogs & Cats. via Purina Refuses to Recall Tainted Jerky Treats in Canada Citing Regulatory Inconsistencies | Poisoned Pets | A Consumer Guide to Pet Food SafetyPoisoned Pets | A Consumer Guide to Pet Food Safety. IAMS cat and dog food has been recalled due to elevated aflatoxin levels. 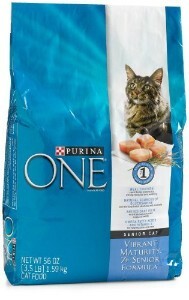 via RECALL: IAMS Cat and Dog Food Recalled for Dangerous Contaminate: Aflatoxin « Poisoned Pets. via Did You Purchase a Natura Pet Food.